lessons in perspective and continuous observation in shape with pencil on paper. 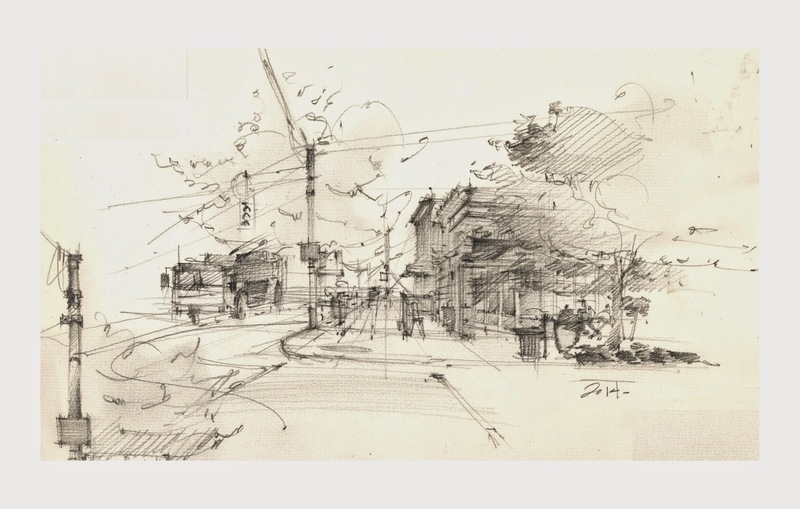 An active drawing with cars at the four way stop. I thought of Victor Steinbrueck with all those power lines in the viewpoint.